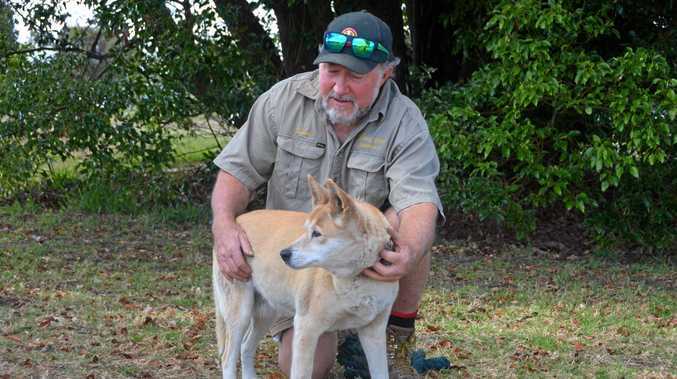 A NORTH Burnett pup has taken on an eastern brown snake and come out top dog. The most ironic part - her owner was out buying materials to snake-proof the property at the time of the incident. And it was all caught on CCTV footage. "This summer I had started building a snake proof fence to protect my dog and at this point it was only snake-resistant, I had traveled into town to purchase additional materials for snake-proofing," the owner said. "The next day I discovered a dead snake on my front lawn; an eastern brown, just short of 6 feet long." The North Burnett resident said although he gets a lot of snakes where he lives, he thought somebody had pranked him. "[I thought] someone who knows I was building a snake fence decided it would be funny to throw a dead snake over the fence," he said. "I went back to look at the security camera footage to see who put it there and discovered the heart stopping truth. "The day before, while I was getting the materials to snake-proof the yard my little dog had been having a game of "kill the snake"." The owner said the footage looked like the snake might have got a bite in. "Maybe got her collar or maybe, after so many missed strikes the venom gland was empty," he said. "Just a miracle that through the 15 minute ordeal my dog could live. "Worst part is ... she was having a great time. Now, in her mind, snakes are fun. "